From Canapes to Buffets, A la carte menu's and Banquet's, we also now have BBQ menu's available and our Christmas packages for 2018 will be the best yet. 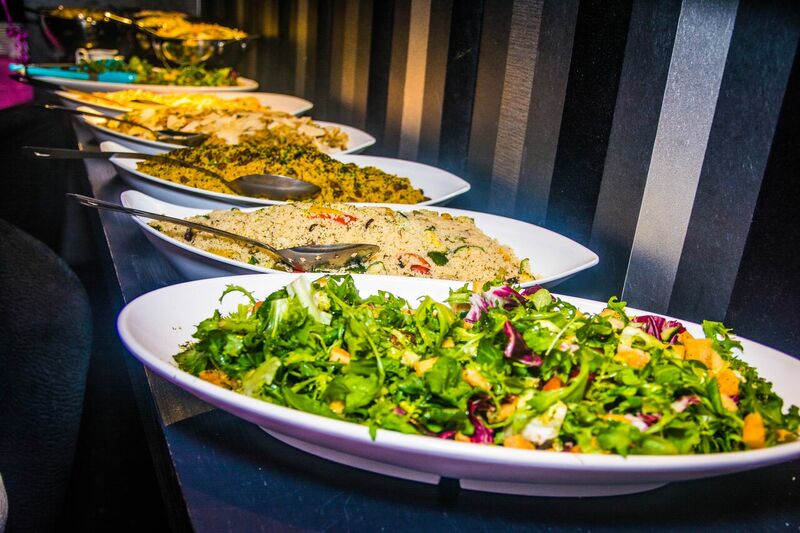 We offer a full chef and waitress service if required and can tailor a menu or event to any budget. Dine in Style Caterers has an excellent reputation at Event catering and are currently looking for opportunities as nominated caterers to a number of outlets. Never having used an external caterer for a family party before, we were a little anxious about doing it for the first time for a big Wedding Anniversary celebration on August Bank Holiday Monday. However, all our fears were very quickly allayed as Kevin and his team took over and got to work. From my initial contact with Kevin via email, all through the planning process (I changed my mind numerous times re. the menu etc. – but changes were made immediately with good grace and humour), the home visit to recce our kitchen and facilities, and the smooth runnning of our party on the Big Day, Dine In Style were simply wonderful. The Fork Buffet was presented beautifully – and there was so much of it! It was all delicious too – our guests were extremely impressed – and so were we. Kevin and his team worked tirelessly all afternoon; meeting and greeting guests as they arrived, serving drinks, helping with the buffet and generally ensuring that everyone had all they needed and that our guests had a good time and were well looked after. The other big advantage of course is that you don’t have to spend all night after the party clearing up! Our house and garden were spotless even before our last guests had gone home…. Dine In Style had completely cleared everything away and left the place in immaculate shape. We would highly recommend Dine In Style. A thoroughly reliable, cheerful and extremely professional outifit…. we’ll know who to call on the next time we have a party! Thanks very much for providing the catering for the event yesterday. The chicken went down very well with everybody, you’ll be pleased to hear. Well done on getting the lunch for us, it’s the best I’ve seen from an outside company ? ?.